Microsoft Word 2007 is a software product used for word processing. It is part of the Microsoft Office Suite. 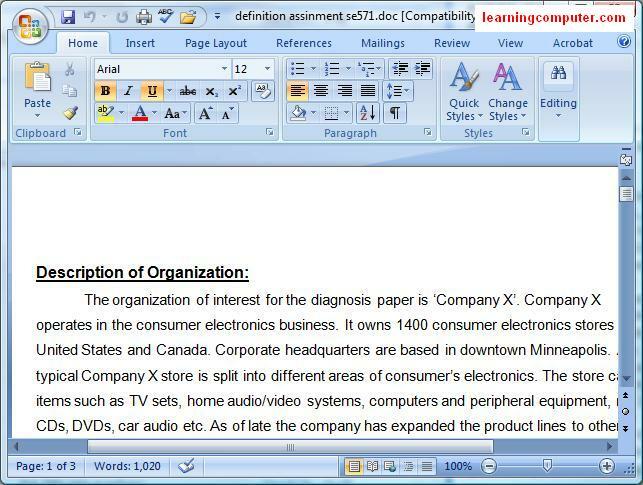 You can use Word 2007 to write letters, memos, reports, resumes, essays and any other documents you wish. You can also create documents for the web and also insert tables. Once you complete a document, you may print it to a printer or save it to your hard drive. Microsoft Word 2007 gives you many tools, some of which we will discuss in the next few sections. So let’s get started.